Google has decided to add its Keep note-taking app to its G Suite cloud of apps moving forward. The company has announced that Keep will be available in the G Suite bundle to all users from now on. Separately, Google has also added support for its Work Apps section for legacy Android users as well. The Google Keep app is now a part of G Suite, and the app has also been introduced with few improvements mainly for better Google Docs integration. You can now access all your Keep notes on Google Doc, and drop and drag them into your Doc file. You can even search your notes in Keep while in Docs to find the information you need to complete your project. Lastly, you can add a new note in the Keep notepad or select text from inside of your document and easily add it to a new note. All you need to do is just highlight the text, right click on it, and select 'Save to Keep notepad'. When you open that note in Keep, it'll include a link back to the source document so you can always refer back to it if you want to. 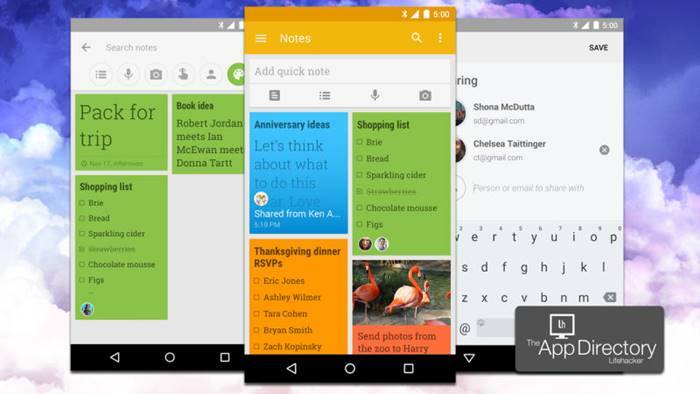 Google introduced the Keep note-making app for Android and Web users back in March 2013. The company in 2014 brought it to Android Wear, and the iOS platform finally received it in September 2015.